I’m calling this look broken down chic because I was wearing it when we got a flat tire last week. It was a busy day for AAA so we made the most of it and snapped some pics. If you ever get stranded anywhere with car troubles, being in a nice neighborhood by the ocean is ideal. Spring is one of the prettiest times in Los Angeles because everything is in bloom and all the green is even greener. I love wearing green and it’s even better up against a vivid green back drop. 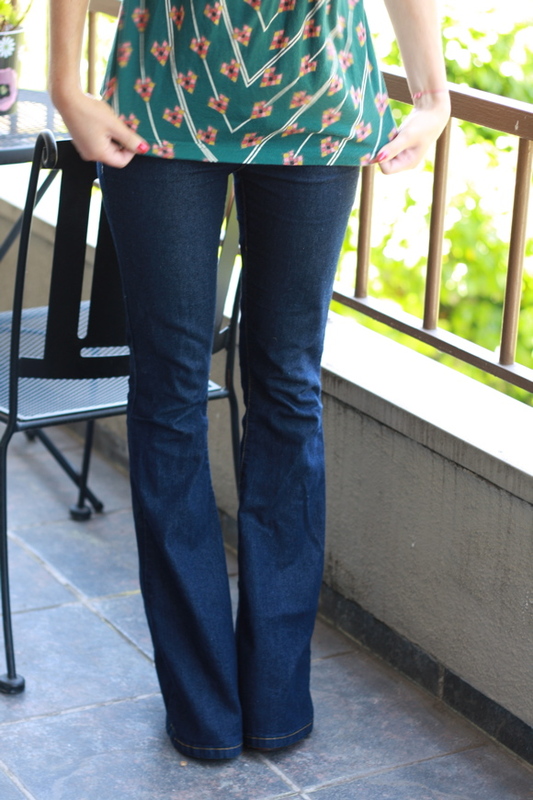 This top has a vintage boho feel so I put on my trusty bell bottoms and slid my mom’s vintage bangle up my arm. If your summer is anything like mine it’s packed with graduations and showers and Birthday parties. It’s such a fun time of year but can sometimes be overwhelming when trying to find the perfect dress for every special occasion. I put together a summer dress collage to give you some inspiration for your next event. The past several seasons we’ve seen a handful of celebrities in the short suit on red carpets. It’s fresh and flirty and stands out in a sea of dresses. My favorite was Gwyneth Paltrow at the Iron Man 2 premiere a few years back. Although my legs aren’t even a fraction as long as Gwynie’s, I decided to put my own spin on this trend. Happy Saturday and Cinco de Mayo! 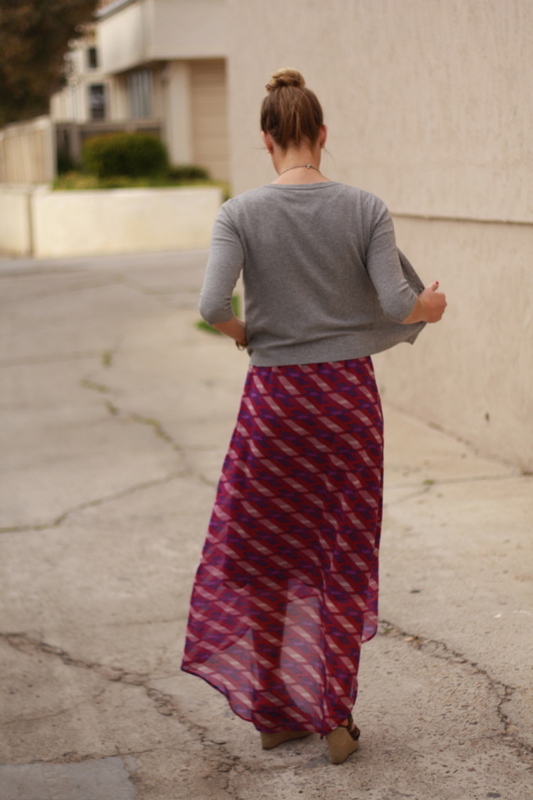 I love creating a theme when getting dressed and this holiday makes it so easy. I planned my outfit around these wedges. I knew I wanted to wear them so I kept the dress pretty simple and added some festive jewelry.